PHOENIX — Growing up as a member of the LGBTQ community can already be a struggle for many. For some Latino youths, their journey is made even more difficult because of several factors such as the conservative, male dominated and religious nature of their culture. 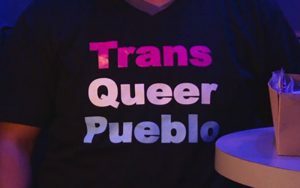 These are some of the reasons why members of Trans Queer Pueblo, a local LGBTQ activist organization, came together to organize their fifth annual ‘Drag for a Dream,’ an event geared toward lending support and raising funds for the Hispanic immigrant LGTBQ community in the Valley. Aron Castillo, who is undocumented, has been with TQP for the past five years and said the group has opened many doors to him that were once slammed shut. “I am a transgender Mexicano and right now it is very important for us to be visual, especially at this time for transgender lives,” Castillo said. It all started five months ago when Castillo embarked on a journey he said has been both exhilarating and terrifying. Since Castillo does not have a legal migratory status, he did not know where to turn to begin his transition. That is when Trans Queer Pueblo stepped in, he said, helping him begin his change from female to male. “They helped me, being undocumented, to be able to take my hormones. It is a process, it is not just taking hormones. The transition starts with myself,” Castillo said. Like Castillo, many undocumented LGBTQ members said they do not know where to go for help and support. “Being a transgender, Mexicano and Latino, it is really important because there are a lot of us, but we are still living in the shadows and still afraid to come out,” Castillo said. During this latest edition, members came together for a night filled with singing, dancing and culture to benefit LGBTQ migrants. The show takes place once a year and it also aims to bring awareness to gay issues and raise funds for those who need assistance. Castillo said TQP is there to help anyone who needs it. “We have a lot of resources. We have the clinic that helps undocumented LGBTQ folks. We help ourselves become leaders and we have family acceptance programs,” Castillo said. The goal behind this year’s ‘Drag for a Dream’ show was to raise $5,000 in a single night. The group said they were able to raise all funds needed to go toward fighting injustices within the LGBTQ community. Castillo also said many times “coming out” or being slightly different in Latino culture could be seen as a negative stigma that is not an accepted norm. “I grew up personally saying ‘people who are different are sinners or anything that is different is bad.” Castillo said. Not being able to express who he really was while growing up is why Castillo said he decided three years ago to participate in any future show. 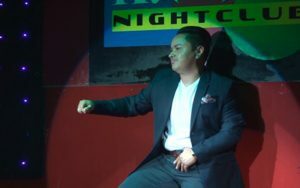 Mario Mendoza attended the show and said events like ‘Drag for a Dream’ are important to LGBTQ Latinos who, many times, face the most rejection from their own community. “It’s probably the worst thing to come out as being a Latino gay, transgender or anything,” Mendoza said while holding back tears. But by night’s end, the message behind Drag for a Dream was clear: You are not alone. “Do not be afraid. There is a family out there for us. For each other,” Castillo said.